1. I am fully signed out of both the desktop and mobile app and someone calls my circleloop number. It rings (nowhere!) for 10 rings (=25 secs) before diverting to voicemail. 2. I am on a call in circleloop desktop. Someone rings my circleloop number… Nothing happens, I get zero notification and they must wait 25 secs to leave a message! If I am signed into the mobile app that rings and if I press reject it rings for 10 rings, again nowhere, before they can leave a VM. Who is going to wait 25 secs to leave a message? And the punchline? Circleloop customer support tell me that this is by design. 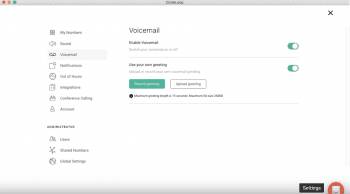 Users are not able to change how long and even when things go to voicemail. – yes I know I can set ‘office hours’ and outside of those I can choose immediate divert to VM, but that’s not quite the same thing, is it? Cons: Call Handling does not work well. Absolutely brilliant innovation and a universal application. Not just a great idea, it also works great, and the people at CircleLoop are really friendly, approachable yet very professional and TOTALLY understand their industry. The future of the workplace is certainly CircleLoop in my opinion! Pros: Ability to work flexibly yet be contactable wherever you are on a landline. The text messaging system is a bit clunky and currently has no notifications enabled. Sometimes call transfer can be a little buggy. Incoming calls suffer from intermittent lag, with users phones ringing at different times. Rather than having a single ‘contacts’ tab, contacts are split into a users contacts and shared contacts, which means you have to search in both for a contact if you can’t remember where they were saved. Pros: Running our direct lines and shared lines from the same iPhone app is great. The recent addition of call recording has been a massive benefit. The team at CircleLoop have been good, they're always looking to make improvements to the application and are their customer service team are responsive. Cons: They're all small niggles really. I’ve been a Circle Loop user for over a year now and I’ve seen it grow from a straightforward call solution into something much greater. Using CL has enabled me to manage my calls through one easy to use streamlined interface. I’m excited to see what new features the app gains next. As a contractor, I’m often in a situation where its important to share my number with clients. 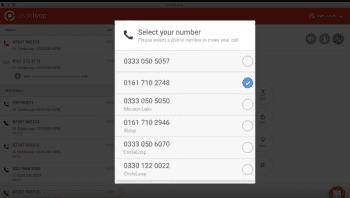 By using Circle Loop I can keep my primary phone number private whilst sharing my CL number with clients. As my company grows with different departments (Development, UX, etc) I can make new hires and allow them to use their private phone and install Circle Loop on their device. This allows them to keep a device they are familiar with and remove the need to use a separate company phone. At the moment, there are few negatives for me. Circle Loop is competitively priced, has great customer support and a development team that is engaged with providing regular updates. 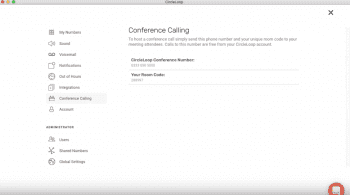 If I had to choose one area that I would like to see improvement is the ability to manage conference calls, although I believe this is an upcoming feature in 2018. 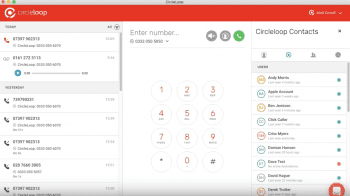 Founded by David Hague and Damian Hanson in 2016, CircleLoop is a UK based Business VoIP provider with a strong focus on offering a simple, easy to use, yet effective solution. The mission behind CircleLoop was to transform traditional Business Phone systems by taking a modern software approach to re-invent the paradigm. CircleLoop felt that business owners shouldn’t have to have a degree in telecom “mumbo-jumbo” to leverage the power of cloud telephony. 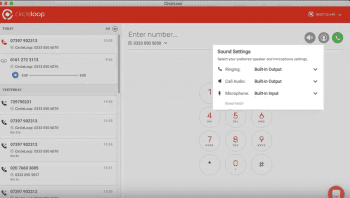 Frustrated with costly service, time consuming on-site installs, and just poor quality hardware phones, the pair behind CircleLoop simply wanted to create a phone system that doesn’t require its users to jump through hoops. With a headquarters and main presence in the UK, CircleLoop is of course a strong choice for UK based businesses. The provider does offer unlimited calling to the US, Canada and Ireland, as well as UK and International phone numbers. With a major focus on providing service in the UK, CircleLoop is a strong choice for any business located within the area. Without any contracts or confusing pricing schemes, CircleLoop makes it easy for any business to get their phone system up and running. Whether your team is looking for a cheap pay-as-you-go option, or a complete unlimited plan, CircleLoop doesn’t place limitations on their features provided, so even the smallest organizations still gain a complete business phone solution. However, with the pay-as-you-go plan, users are simply charged per-minute for each phone call. With both desktop and mobile phone applications, CircleLoop is looking to eliminate the expensive and unnecessary desk phone. In fact, just about every aspect of your solution can be controlled directly from CircleLoops app, even billing, payment and subscription options. 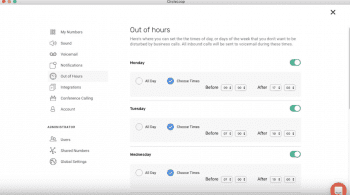 Users can even mix and match subscriptions on a user level. This enables some teams to have access to the Unlimited plan, while other departments that might not deal with as much business over the phone can be limited to a pay-as-you-go plan. This is all configurable directly from the app itself, no need to log into an account on CircleLoop’s website or online portal. Despite their focus on the UK, CircleLoop does include both international numbers as well as international calling. Calling to the United States, Canada, and Ireland is mostly unlimited, with a few exceptions for Ireland calls. Both UK and International numbers are available as well, and CircleLoop will of course port an existing number if your business is looking to stay consistent. 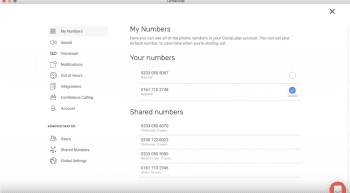 Despite the affordable cost, CircleLoop doesn’t skip out on the features one would expect from a Business Phone system — like call recording, business SMS, IVR and caller greetings, voicemail to text, and more. CircleLoop also offers a super simple sign up process without any contracts. 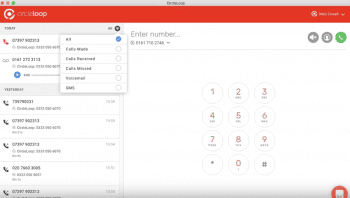 Users can also get started with their new phone system right away, simply sign up for service, download the app, log in and start making phone calls. Customer Support is UK based as well, and available on multiple channels including phone support, live chat, email and even in-app chat. Users can of course make calls over the internet, or even through 4G mobile data. Overall, CircleLoop is a modern take on the very necessary Business Phone solution, offering a super simple solution that doesn’t skip out on the powerful features. What Do You Think of CircleLoop?